The Association for Unmanned Vehicle Systems International is the world's largest nonprofit organization devoted exclusively to advancing the unmanned systems and robotics community. It has over 7,500 members from government, industry and education. AUVSI is committed to advancing, developing and promoting unmanned systems. The international show will be held at the Colorado Convention Center in Denver with exhibits running from May 1, 2018 to May 3 and educational programs running from April 30 to May 3. This show is the perfect place to learn about new capabilities and technologies that are transforming the business of agriculture. This is where you can see the next generation of unmanned technology and see how unmanned systems will advance agriculture today and in the future.Agriculture professionals will discover valuable knowledge from the educational sessions. 725 exhibitors will showcase a full range of technologies, products and solutions in more than 370,000 square feet of space filled with hands-on exhibits, interactive demos, and new products. 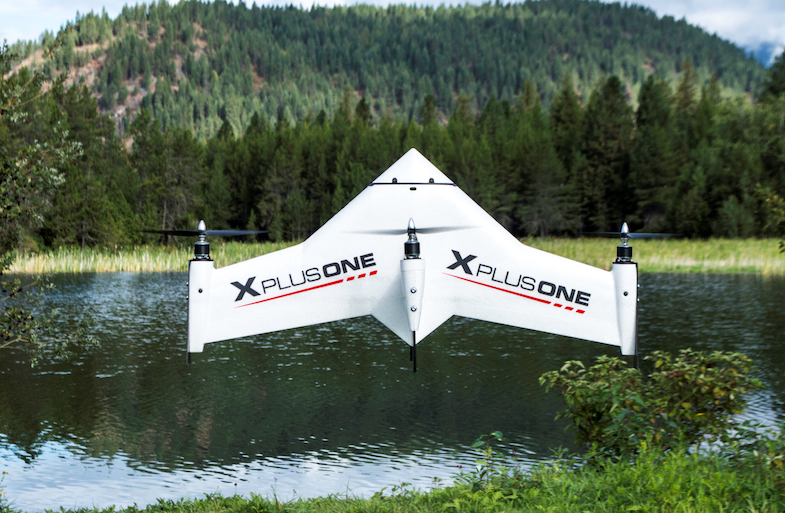 This show offers the largest exhibit of drones, robotics and unmanned systems in existence. 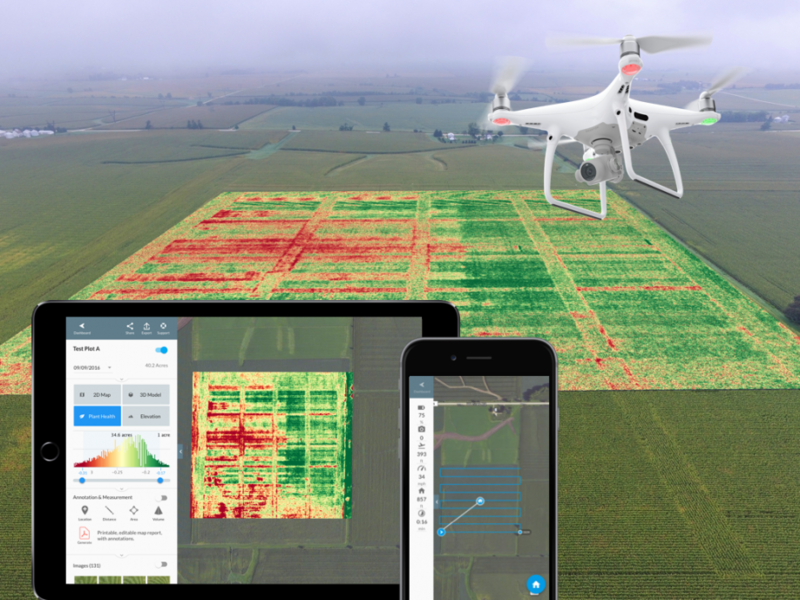 There are educational seminars that cover the agriculture market, such as “The Next Step Beyond Identifying Field Variability,” which discusses unmanned aerial systems in precision agriculture by allowing for nondestructive, cost and time efficient, and convenient mapping of spatial variation in fields. “Unlocking the Actual ROI for Commercial Drones” is another seminar that discusses how drones are being used to justify value and program expansion, which can be a challenge when you don’t have all of the elements in place to measure the impact of efficiencies, safety gains, and better data. You should also check out “Advancements in Machine Vision Breakthroughs” in machine vision and deep machine learning, which are emerging as powerful technologies for drones, particularly for inspection applications. There are many other UAV seminars that affect the agriculture industry that you might want to attend. New for this year is drone racing. AUVSI has partnered with the International Drone Racing Association to bring professional drone racing to life. Drone racing is an exciting way to watch expert drone pilots demonstrate safety and professionalism in this impressive sport. Watch as these racers push the technology and their drones to the brink of disaster. In addition to the racing, you will see the first-ever outdoor demonstration of unmanned systems. In Denver, you have an exceptional chance to see real-life solutions and applications in an outside environment. To facilitate networking and connections for attendees and exhibitors with similar interests, the show has created themed “Hubs” around the show floor. These are: Growing the Industry Hub, which will increase your appetite for robotics and forge a career in unmanned systems with help from AUVSI and RoboNation. The Innovation Hub helps you experience emerging and groundbreaking unmanned systems technologies and solutions; while the Solutions Hub is a place to learn about real-life solutions for unique challenges and opportunities provided by experts in the industry. Top - Tier Drones, Inc. (Booth 1807) The Agricultural Sprayer drones range from a small 6 Liter to the large 20 Liter sprayer/fogger. Their Industrial drones are all top tier in that they are Fire Proof, Dust Proof, Water Proof and have a long endurance. Drop by the booth and check out the AAV 184 from eHang. 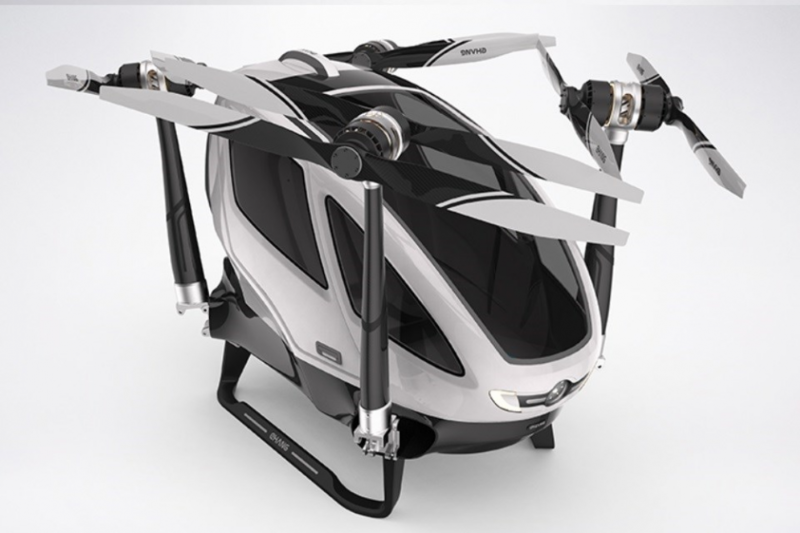 The personal commuter drone that you have been waiting for. Protonex Technology Corp. (Booth 2008), a subsidiary of Ballard Power Systems, provides clean energy products that reduce customer costs and risks, and helps solve difficult technical challenges in fuel cell programs. Ballard offers a complete UAV fuel cell solution - FCair™. These systems provide up to 3 times more run-time than the best batteries, and 5 times the reliability of small engines and they run on clean hydrogen gas. 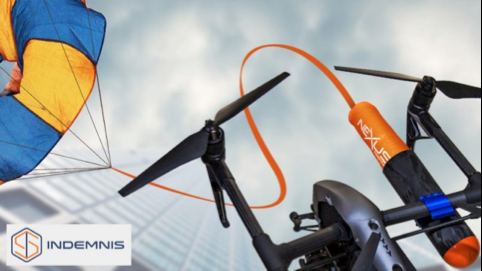 Indemnis Inc. (Booth 827) is the industry leader in UAV parachute recovery systems. It manufactures the only proven parachute recovery system on the market that has been shown to work reliably in any failure scenario, without limitation. Drone Deploy (Booth 538) is a cloud-based drone mapping software that helps businesses solve critical problems, fast. The platform offers a powerful range of products that enable customers to easily collect and analyze aerial data using any type of drone. 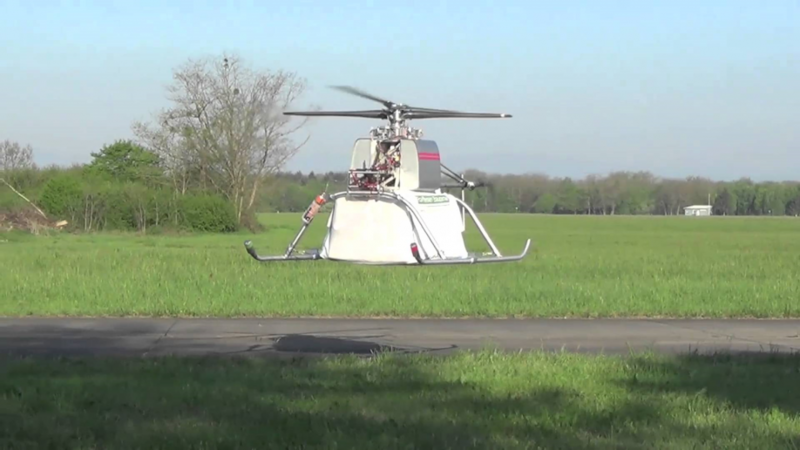 Based in Monaco, E.Yo Copter (Booth 3407) is engaged in R&D & manufacture of maxi-payload multi-mission up-scalable drone helicopters based on their patented breakthrough technology. Their vertical take-off and landing (VTOL) aircraft, auto-piloted crane is explicitly designed for lifting and delivering large payloads in Industrial, commercial and agriculture applications in harsh environments. Experts in thermal imaging technology, Sierra-Olympic Technologies(Booth 3528) provides cameras, components, and systems solutions for infrared camera users and integrators. The company specializes in complete and cost-effective solutions for shortwave infrared (SWIR), mid-wave infrared (MWIR) and longwave infrared (LWIR) imaging applications. 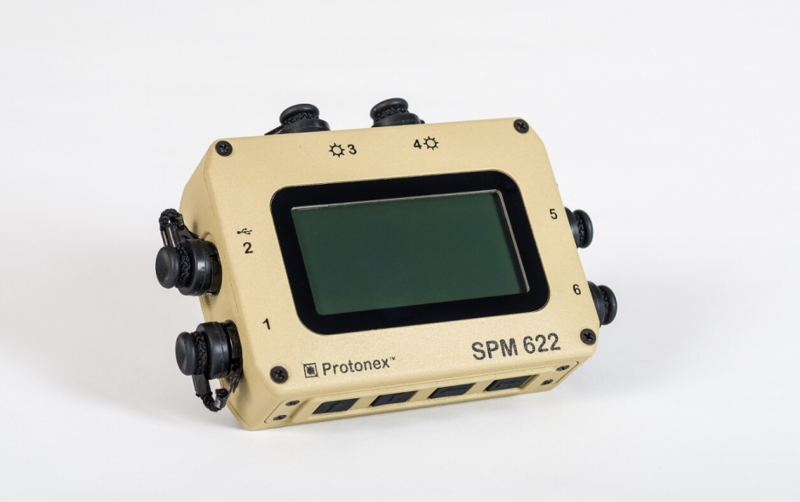 4Front Robotics (Booth 831) is an Unmanned Vehicle Systems (UVS) firm specializing in the development and deployment of autonomous ground (UGV) and aerial drones (UAV). At the moment the company focuses on highly maneuverable aerial and ground vehicles capable of performing missions inside highly complex and confined spaces as well as open environments. Colorado Drone Chargers (Booth 3132A) is the home of the Portable Rapid Charging System. 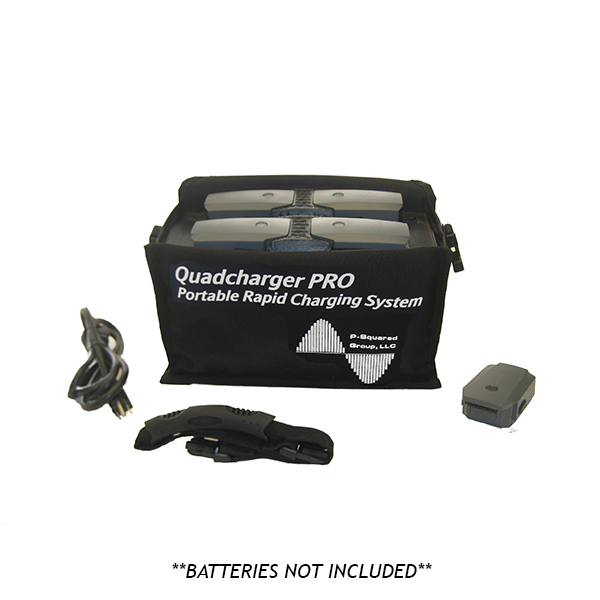 Simultaneously charge 4 batteries safely & quickly. Constant temperature monitoring & safety cut-offs protect your batteries from the danger of charging to hot or cold. 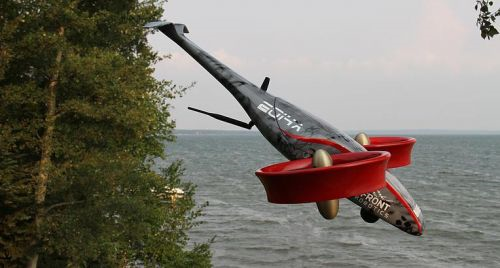 xCraft (Booth 1004), located in Coeur d’Alene, Idaho develops powerful flight technology. xCraft was recognized for this innovation by a record-breaking deal on ABC’s SharkTank. xCraft specializes in VTOL technology, creating customized UAS solutions for enterprise and government clients in security, energy, and agricultural markets. 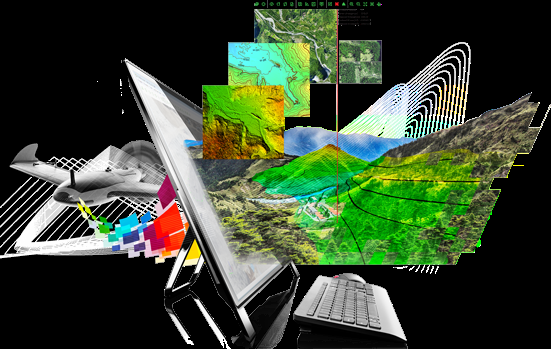 Pix4D (Booth 3113) is a developer of cutting edge software that converts images taken by hand, by drone, or by plane into survey-grade accurate and georeferenced 2D mosaics, 3D models and point clouds. Kittyhawk (Booth 3131B) is the leading enterprise drone operations and management platform, unifying the mission, aircraft, and data to empower safe, efficient and compliant drone operations. 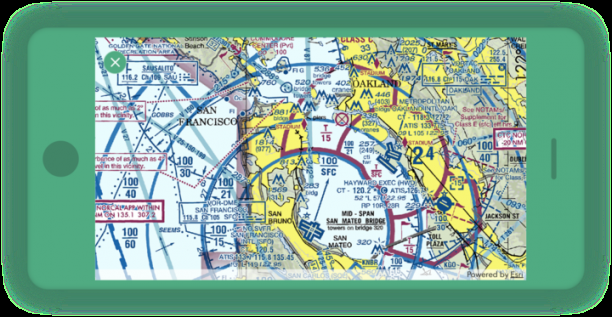 The platform features real-time flight operations and management solutions for professional pilots and fleet managers across a multitude of missions and industries. These are just some of the booths that feature products designed for use in agriculture. If you are in the UVA field, XPONENTIAL 2018 is where you should be. Join 8,500 others from across the gamut of unmanned systems and robotics to impart ideas, gain insight and witness groundbreaking innovation.